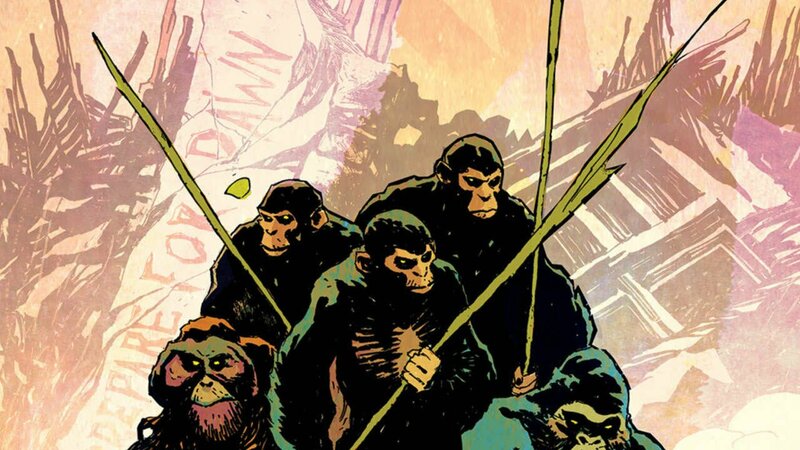 King Kong will meet the Planet of the Apes this November in a new comic book cross-over. Boom! Studios announced that King Kong and Planet of the Apes will be colliding in a six-issue comic book event scheduled for November. Titled Kong on the Planet of the Apes, the comic’s plot will pick up immediately after the event of the 1968 Planet of the Apes film with Dr. Zaius and General Ursus discovering a Kong that eventually leads them to Skull Island. The series will be written by Ryan Ferrier with Carlos Magno handling the art. Magno will also be joining Mike Huddleston and Hans Woody as cover artists for the new series. “There’s such a deep mythology to both properties, especially if you consider all of the amazing Kong and Apes comics that have come out in recent years, With this series, we’ve found a coherent, meaningful way of having these two worlds and their legacies fold into each other. The implications of the Ape civilization discovering the Kong world are huge, and that’s certainly on the forefront of the series.” said Ferrier. Although its been adapted by a variety of publishers in the past, Boom! Studios’ Planet of the Apes comic are currently the longest-running adaptation of the franchise. Starting in 2011, Boom! Studios launched a series that took place 500 years before the original film, written by novelist Daryl Gregory with art by Carlos Magno. A number of series were launched since then, taking place before and after the first film. This won’t be the first time that another series crosses over with The Planet of the Apes either. Boom! Studios and IDW Publishing released a crossover with Star Trek in 2014, titled Star Trek/Planet of the Apes: The Primate Directive. Another six-issue crossover was also released this year between Boom! Studios and DC Comics, introducing the Green Lantern to The Planet of the Apes.